551 Motorhead Miniatures Figurines - 1:18 Scale Out Of Gas. Set of 4. Hand painted cold-cast resin. 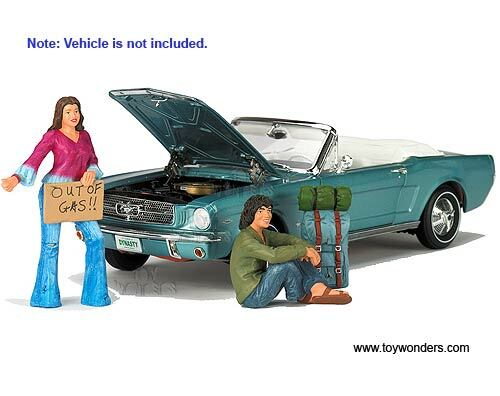 These figures are great for decorating 1:18 scale cars and dioramas. 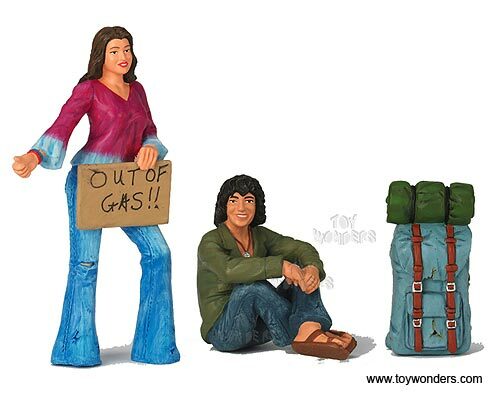 This set includes two figures, luggage, and out of gas sign. Manufactured by Motorhead. Packed in a blister card. Card size: 7.75"x 7.75". 6 sets per inner. Note: Vehicle is not included. Sold in lots of 6 sets.